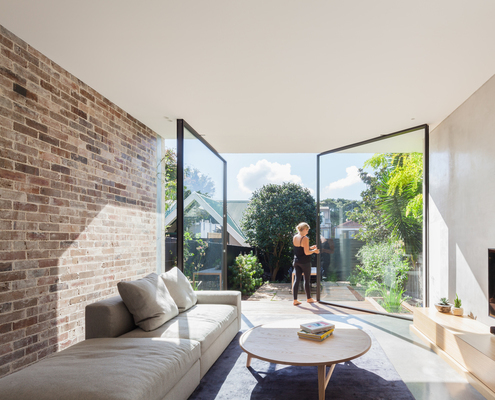 Marston Architects is a Sydney based studio with over 25 years experience. Since its inception in 1985 Marston Architects has delivered a broad spectrum of built works including single homes, alterations and additions, multi-unit residential and commercial buildings. D House by Marston Architects A Semi-Detached House is Freed From an Eternity of Darkness A dark semi-detached D House is now a bright and lively space with a wall of glass that opens to dissolve the end wall into the garden.